Images above of a 3"x2.5"x1.5" druse on dolomite. Length of Specimens: 2.25" & 3"
Width of Specimen: 2" & 2.5"
Weight: 2 oz. & 6 oz. 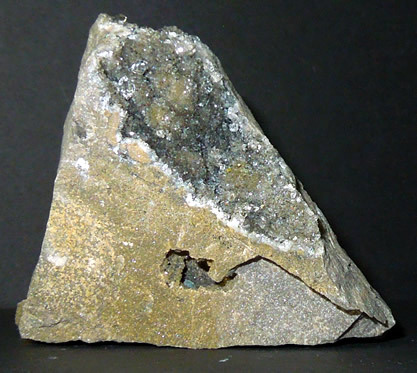 Images below, this specimen measures 2.25"x2"x2" and was most likely mined from the pocket layer, or zone, in the mine. 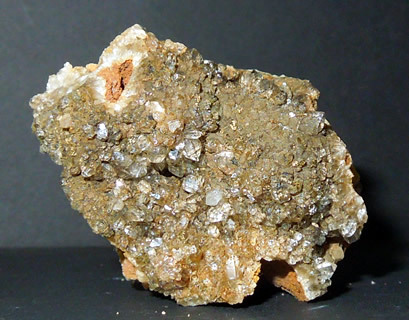 Gray druse and tiny Herkimer Diamond points cover much of the old, gritty dolomite rock. 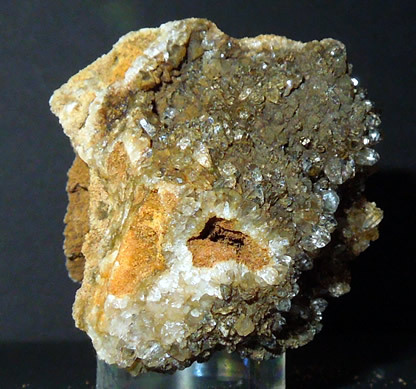 A 3"x2.5"x1.5" specimen of druse on dolomite, images above. This piece came from the druse zone of the mine. The dolomite is dense and sparkles in the sun. 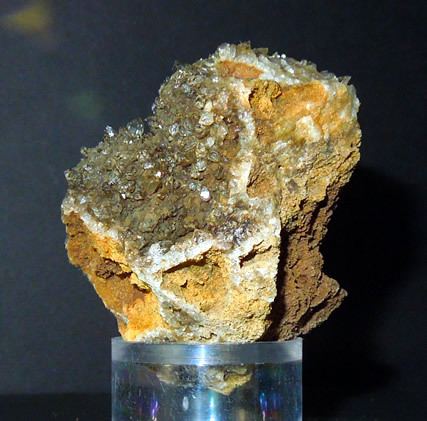 An area of about 3"x1.5" is encrusted with the small pyramidal crystals and baby Herkimer Diamonds. It really glitters. Two very different druse dolomite specimens. Both are a joy with a loupe. Images below show the crustier specimen that measures 2.25"x2"x2".